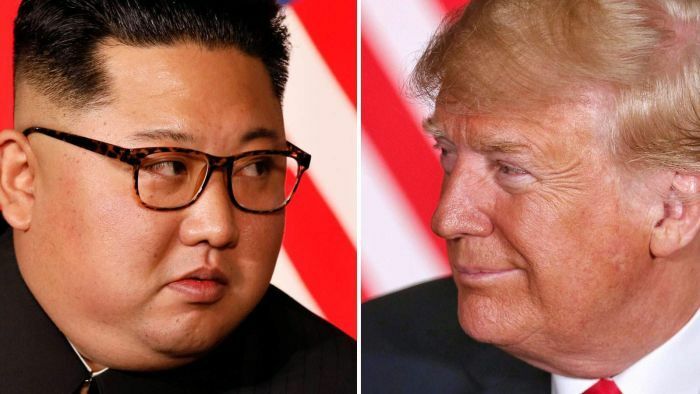 North Korean leader Kim Jong-un will need to put some iron-clad commitments on the table this week with Donald Trump or blow his chances at future meetings, according to some analysts. Mr Kim is under pressure from the US and other regional stakeholders not to repeat the deadlock of the first summit, which ended with a vague agreement and little subsequent progress. While US President Mr Trump is lowering expectations of any substantive outcomes ahead of Thursday’s meeting, it’s unlikely future summits would proceed if the White House is left feeling the Hanoi meeting is little more than a photo op. “I think it’s probably one last chance for Kim Jong-un to grab this opportunity and to boldly decide to give up nuclear weapons and join the international community,” said Lee Seong-hyon, an analyst with the Sejong Institute in Seoul. “We don’t want to watch the same movie twice,” he said of the summit. The defining question ahead of this meeting is what’s actually changed since the first? Since the Singapore summit, the US has supposedly suspended joint military exercises with South Korea as a goodwill gesture, although in reality the exercises have been scaled down rather than halted completely. North Korea dismantled a missile engine test stand at one of its launch sites, Sohae, but was then accused of halting further dismantling work. China meanwhile appears to have continued enforcing UN economic sanctions that have battered North Korea’s fragile economy, according to both official Chinese statistics and North Korean defectors. “Since the sanctions, some people in North Korea who have relatives in South Korea have increasingly been asking them to find ways to send money,” said Kang Mijin, a North Korean defector and journalist in Seoul who writes for DailyNK. But other reports say trade at the primary border crossing in the Chinese city of Dandong bounced back sharply in the second half of last year, suggesting China has eased off. Lifting the sanctions, formally at least, is the primary demand of North Korea for this summit, with Mr Kim hoping Mr Trump can accept it as a pre-requisite for concessions by Pyongyang. Such a position has China’s backing, which has again moved to protect its interests by hosting Mr Kim ahead of the summit. The young leader visited Beijing in January — his fourth visit within a year, and he’s taking a leisurely two-day train trip across China to get to the Vietnamese border, from which he’ll be driven to Hanoi. The train trip is partly historic, evoking memories of Mr Kim’s grandfather Kim Il-sung’s visit to China in 1958 ahead of meeting the Vietnamese Communist leader Ho Chi Minh. There’s potent symbolism in all this — Ho Chi Minh went on to defeat the might of the US military, forcing its withdrawal as the Communists marched on Saigon in 1973. Mr Kim hopes too to get the better of the Americans in his high-stakes game of diplomatic nuclear chess. But with sanctions still largely in place and an international community wary after the first summit, he’s heading to Hanoi under more pressure to deliver an outcome this time.